Famous for making high performance cars Porsche based in Germany were founded in 1931. Recognised around the world as the cult classic the Porsche continues to develop cars that simply push the motor industry to new levels. Technology so advanced it makes driving a pure pleasure. From the classic Porsche 911 to the practical Cayenne there’s a model for you and to suit every lifestyle. If you’re seeking the perfect sports car then Porsche can deliver. From stunning performance to beautiful looks the Porsche badge is more than just a symbol of excellence. It represents a long history of immaculate craftsmanship and proud heritage. It’s not just about the horsepower it’s about the driving experience, the style, the looks, the comfort factor and safety standards of course too. Intelligent Performance is what Porsche like to base their cars on. If you’d like to see how much you could potentially save on the iconic Porsche range then why not contact the fully trained and professional consultants at Coast2Coast Cars. You could be surprised to find you can save £1,000’s from list price of your new car just by using our fully trained staff. Just build the Porsche of your dreams and we do the rest searching our network of dealers for the exact model you desire. 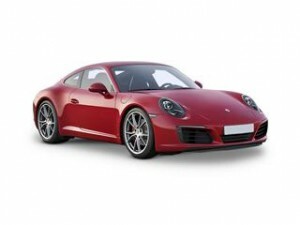 Finance can be arranged as well via Porsche Financial Services with packages to suit all. To get started simply build your car using our step by step form and we locate the exact model for you with prices that could save you money. The iconic Porsche 911 just got better thanks to the improved engine which now boasts a turbo option. The improved ride comfort and handling all make the 911 the everyday supercar. Available in a wide variety of versions including convertible the 911 is certainly standing the test of time. With versions that can go 0-62mph in just 3.1 seconds like the GTS there’s something for those seeking supercar performance in a car that is practical to use every day. Take the iconic Porsche and add roof down motoring and what you get is the ultimate everyday sports car. Oozing classic curves and technology the Porsche Boxster needs no introduction. With an impressive 0-62mph of 5.1 seconds for the entry level manual the Boxster is fast and with fuel return up to 38.2mpg it’s also not the worst for fuel efficiency considering what you are driving. The Porsche Cayenne takes the supercar performance and adds a whole heap of space. 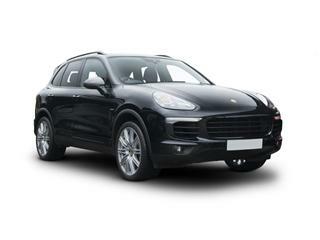 This stunning SUV combines agile and responsive handling with the practicality of the classic sports utility vehicle. The 3rd generation version yet again improves what was already an accomplished example. Who says hardtop sportscar’s have to be boring. 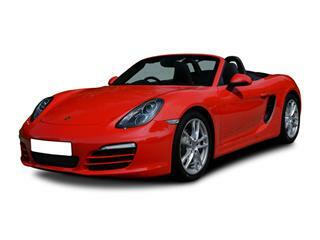 The Porsche Cayman is widely regarded as one of the best sports car out there. Constantly earning rave reviews for looks and performance. 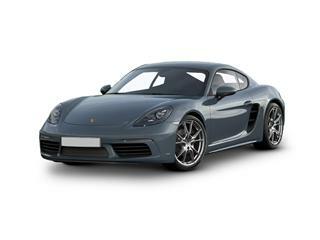 The Cayman and Cayman S lets you have your weekend fun and midweek practicality. The Cayman delivers 62mph in just 5.1 seconds and a fuel return of 38.2mpg.